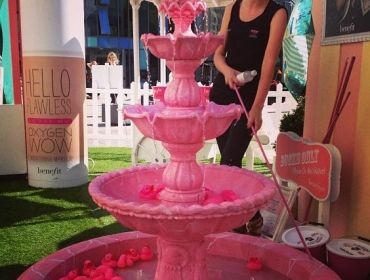 Over the past few weekends, Benefit Cosmetics has been holding a small beauty fair across the UK, appropriately named Benefayre. 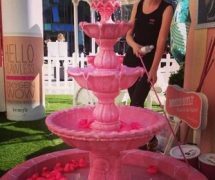 The event travelled across the country, stopping at places such as Manchester, Birmingham, Glasgow and Cardiff for fans of the cosmetic brand to be able to attend. Cardiff was the last stop for the tour and I was lucky enough to attend. The fair was set out like an old fashioned classic fairground event with games for people to play, but instead of a cuddly bear or the usual type of prizes, you would win a Benefit product. To play the games, you needed tokens (£1 entitling you to one token) where you could then play Hook-A-Duck, ‘Flawless’ Tin Can Alley, ‘Porefessional’ Shootout or ‘They’re Real!’ Hoopla. If games weren’t your thing, then you could instead pay 2 tokens for a makeover or 1 token for a face painting. Proceeds for this year’s Benefayre went to Refuge – a charity for women and children against domestic violence. The event was great fun and I hope to see Benefayre rolling up at Cardiff again next year. Â» Home Â» Articles Â» Should Children Wear Make-Up? WICID BOTB SEMI-FINALS: VOTE NOW!